The readings, except for the gospel, for this Sunday are the same all three lectionary years. Go to the links below to explore what has been posted for years B and C, then read on for ideas for all the texts based on the Year A Lenten themes. When you order palms consider ordering from Eco-Palms at Ecopalms.org. Eco-Palms are harvested in a sustainable manner and workers are paid a fair wage. Many denominations endorse them and your green-conscious children will be pleased! 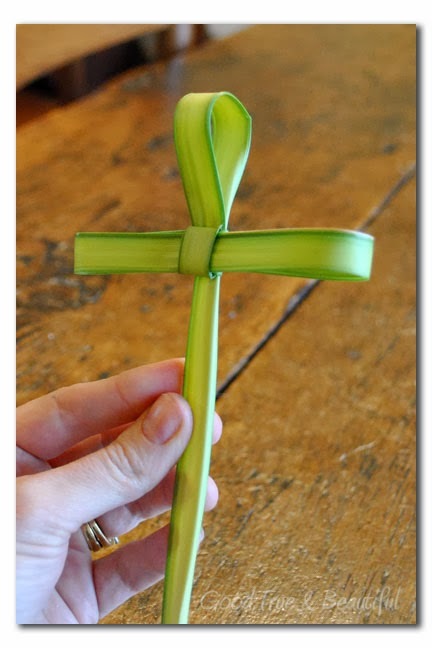 + The only reason to order the little strips of palms is to use them as Bible bookmarks or to make them into palm crosses. To do the latter follow the directions with photographs at Making Palm Crosses at King of Peace Church . + Palm Sunday processionals at the beginning of worship are a tradition in many congregations. Often children lead or follow the choir/s waving palm branches. Adults love these parades. As children age, they can become uncomfortable and feel “on display” in them. For them, the best parades are those that include worshipers of all ages mixed together. It is possible for the entire congregation to begin worship outside or in “the hall” and then process into the sanctuary together. When they process as a group, older children appreciate having a stylized way of carrying their palm branch such as help across their chest and pointed up toward their shoulder. Or, try the idea below that was left as a comment by “Allison in Pennsylvania” last year…. So to liven things up, last year I made sure that the inside and outside aisle seats had palms (since not everyone takes a palm on their way in). And I put the robes we use at Christmas on the inside aisle too. As the kids did a circuit around the outside of the sanctuary, people waved their palms at them as they went by and they waved back (minor sword fighting ensued, but they were moving so it didn’t last long). As the kids prepared to come down the middle aisle, the grown-ups sitting on the end threw down the robes to cover the aisle and threw down the palm branches too. + In my book Sharing the Easter Faith With Children there are scripts for two calls to worship led by children. One has children yelling set lines from several corners of the sanctuary. The other has a group of children at the rear of the sanctuary answering a worship leader in the front and is based on Psalm 24. + Vocabulary Heads Up for those Observing Passion Sunday: for children passion is kissy, icky, mushy stuff. Few have even claimed passion as an intense enthusiasm, as in “she has a passion for the cello.” So, it is probably best to simply introduce “Passion with a capital P” as the title given to the stories Jesus betrayal, trials, and crucifixion. + Challenge households to read part of Luke’s story of the events of Holy Week each day this week. Provide a bookmark/card with readings either from Matthew’s gospel (the gospel for Year A) or from the Children of God Storybook Bible (if you are using that book as a Lenten discipline for families). It would even be possible to print one list on each side of the same bookmark with some Holy Week graphics. What kind of king were they expecting? 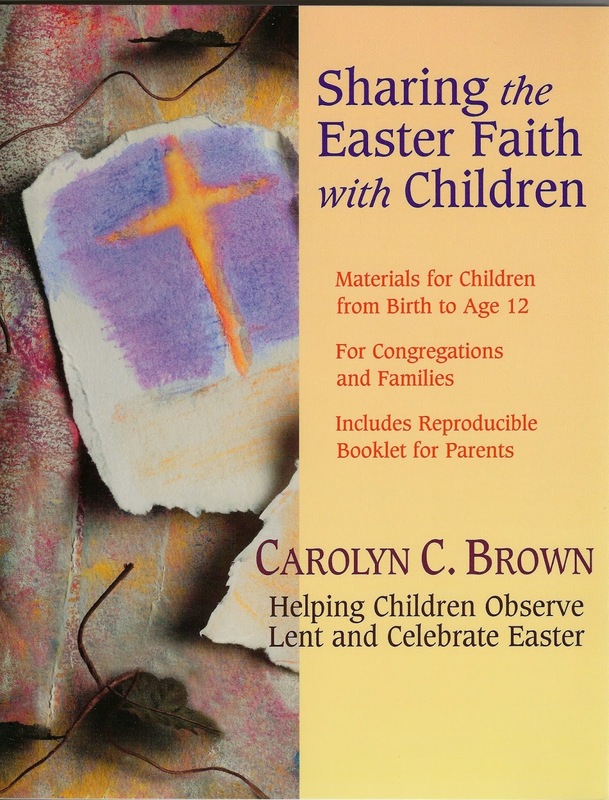 + If it is spring break in public schools and many families will be traveling and so miss Holy Week services, encourage them to take their bookmarks with them and to take a picture of themselves reading the Bible together at the beach, in the mountains, in their den at home, or wherever they spend Holy Week. Post their photographs on a bulletin board titled something like “First Church families read THE STORY during Holy Week.” This is one way to resource families to do home worship and to encourage them to pay some attention to the Holy Week story even if they do not come to the church during the week. + As you make announcements about Holy Week services and if you really do want children to attend them, tell them and their parents so very directly. Give them a hint about one thing that will be particularly interesting or important for the children as well as for the adults. For example, “On Thursday evening we will celebrate the Lord’s Supper on the night Jesus invented it. We will hear the story of how it came to be. This is a night for children and parents and grandparents, for kids and teenagers and adults, for all Christians who love and follow Jesus.” Or, go to Holy Week Passports for a way to help children and their families track their progress through Holy Week. + Psalm 118 echoes the parade story in Matthew. Many of the verses could be shouts from the crowd. To bring it to life, prepare readers to be scattered throughout the congregation to stand and shout one verse. Reader 1 who reads the first and last verses is a worship leader standing in the lectern. Remaining readers could be of many different ages or could be the members of a teenage church school class. (Teenagers with practice can read loudly enough to be heard without a microphone. Older children are likely to be too soft even after a shouting practice.) If 11 readers are too many to gather, settle for fewer assigning two or more verses to each reader. This reading could be a call to worship or it could immediately follow the reading of the gospel lesson. Reader 8: Save us, we beseech you, O Lord! Reader 9: O Lord, we beseech you, give us success! Reader 10: Blessed is the one who comes in the name of the Lord. On a day with so much story, both of these prayers will go past most children. To those who do hear them, they are mainly prayers Jesus might have prayed as he faced the coming week. One of them is probably enough for any service. + Whether you are observing Palm or Palm/Passion Sunday, read Philippians 2:5-11 to explore Jesus’ kingship. A trained dancer could take the directions below as a starting point to creating movements that interpret the psalm as it is read. Or, children could be asked to come forward to help present this text to the congregation. Introduce the passage as the words to a very old song about the kind of king Jesus is. Before reading it once, suggest that they listen for movements. Then, reread it inviting the children to join you in the movements below. + Though Matthew does not mention children participating in this parade, other gospel writers do and most worshipers imagine children present. That makes this a good opportunity to have the gospel read by a well prepared child. + The Palm Sunday parade is all about what kind of king Jesus intended to be and how he would use power. This leads many preachers to speak about political power and how it is used today. Though they miss some of the details of such political discussion, older children are quite ready to explore the theme. While younger children simply want power and insist they will use it well. Older children are becoming more aware of the difficulty of using power well. They are beginning to recognize that some leaders claim power and privilege for themselves and other leaders use power on behalf of others. They have heard enough of the stories of people such as Martin Luther King, Ghandi, and Mother Teresa to know the importance of their contributions and to realize that being a servant leader has a price. For these older children, Jesus entry into Jerusalem is both about Jesus and about the leader they hope to become. 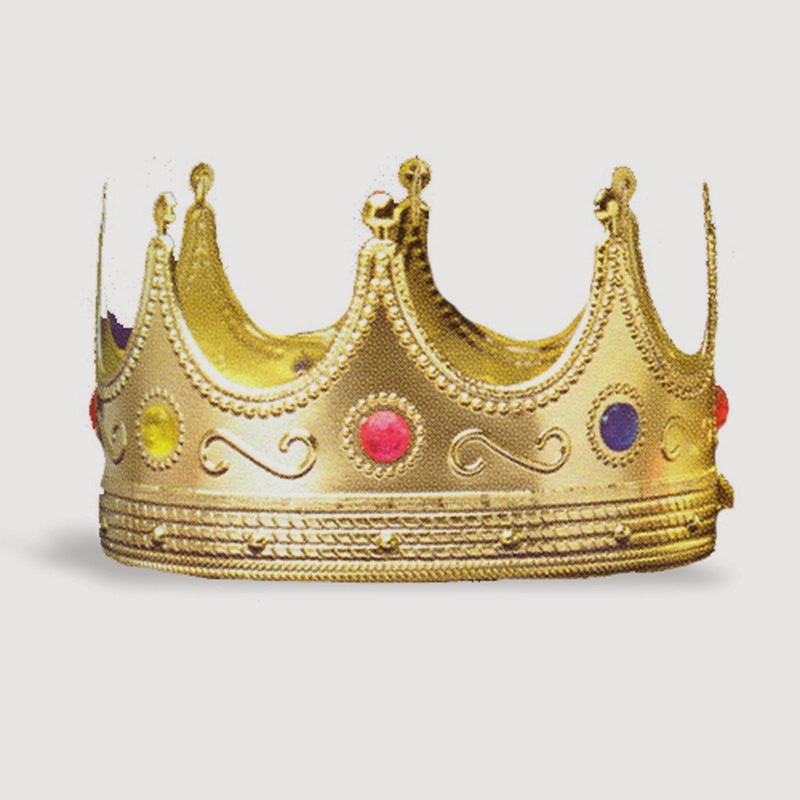 + One way to explore these two kinds of leaders is to display two crowns: a crown of thorns and a king’s crown. Pick each one up and ponder the differences in the people who wear them. This could be a children’s sermon, but would be more effective if done within the “real” sermon. A gardener can probably create a crown of thorns and very presentable royal crowns can be purchased cheaply at party shops or borrowed from a local theater group. + The chief question children ask about the passion narrative is “Why did people hate Jesus that much?” They simply cannot fit this story with all the others about Jesus being a friend, a healer, and a helper. In one kindergarten class a boy posed this question and was answered by another boy thoughtfully, “Jesus said they had to share and they didn’t want to.” Right on target! Jesus called people to share, to forgive each other, to take care of each other, even to love people who do not love us back. None of this is easy on either the personal or national level. Because people did not want to do those hard things, they wanted Jesus to stop saying them or go away. Since he wouldn’t stop saying them, they got rid of him – they thought. It is a stretch but worthwhile to explore the possibility that they hated Jesus because they knew he was right, but did not want to do what he asked. If you have a good history of public conversations with children, explore this with the children during a children’s time. Open by reminding them of all the wonderful things Jesus did. Mention three or four well known stories about loving, kind Jesus. Then present a rough wooden cross or a picture of the crucifixion and ask, “How could that have happened to him?” If no answer is immediately offered, note that this is a question people have puzzled over for many years. Then, recall some of the hard sayings about sharing and loving enemies. Talk about how hard they are to keep and how bad it feels when you know you don’t do what Jesus said. If you have history of talking about such things in worship, children will start weighing in and together you can move to some conclusions. If you state this question at the beginning of the sermon, many children will be hooked and will stay with you as long as they can. Be sure to get the simplest answers out first (before you lose the children), then move on to the more adult answers to the question. This is both safer than public conversation in a children’s time and teaches children that sermons might be interesting – at least in bits. + Often the entire passion story is read during worship. It is powerful, but long. To keep worshipers of all ages tuned in, read it in sections. Have each section read by a different reader and separated with music, perhaps a mix of short choir pieces and verses of appropriate hymns sung by the congregation. (“Go To Dark Gethsemane” is a good choice for children. Matching the verses with the biblical accounts helps children understand both more clearly.) Select readers of both sexes and all ages. A teenage boy might read Peter’s part. The Burial and Posting of the Guards at the Tomb can be read by two older children who come to the lectern together and read without a pause between them. Because it is the longest reading, the Crucifixion requires an especially dramatic public reader. The script below requires 5 readers plus Judas, Peter, and 2 child readers. + Peter’s First Easter, by Walter Wangerin Jr., has Peter telling his experiences from the Last Supper through Jesus forgiveness at the fish fry on the beach. Older boys especially appreciate his straight-forward, strong but emotional account of what happened. The art depicts Peter and Jesus as strong believable men. 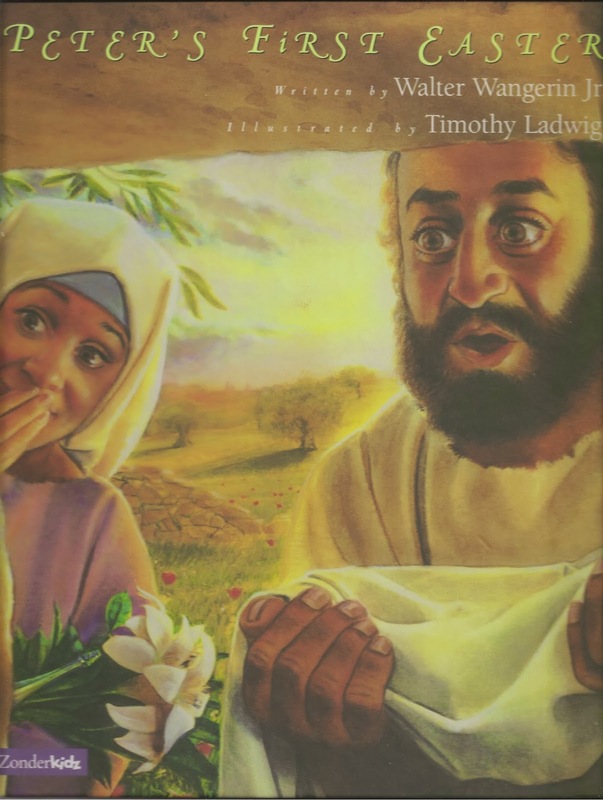 The book is too long to read in its entirety, but a single story could be read from this book at children’s time during a service with a sermon rather than reading of The Passion. + Adult worshipers know that Easter follows this horrible story. But, children, especially younger children may not. Even if they have heard the Easter story, they may not place it after the passion. Older children who may be tuning into this reading of the full passion story for the first time, often respond strongly. So, it is important to end with a reminder that God has a wonderful surprise waiting. If you buried the Alleluia in a box, bring out the box, refer to what is in it, and invite the children to come next week to celebrate God’s wonderful surprise ending. It can be worth the effort to call the children up front briefly to be sure they hear this promise of a better ending.